To move from empirical-based physics to the theoretical abstractness required for advanced physics requires a paradigmatic shift in logic that can challenge even the brightest mind. Grasping the play of phenomena as they are described in introductory compendiums does not necessarily create a foundation that allows for the building of a bridge to the higher levels of theoretical physics. In the first edition of Advanced University Physics, respected physicists Stuart Palmer and Mircea Rogalski built that bridge, and then guided readers across it. 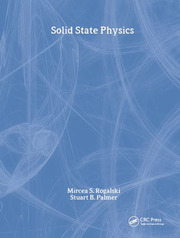 Serving as a supplement to the standard advanced physics syllabus, their work provided a succinct review of course material, while encouraging the development of a more cohesive understanding of theoretical physics. Now, after incorporating suggestions from many readers and colleagues, the two authors have revised and updated their original work to produce a second, even more poignant, edition. 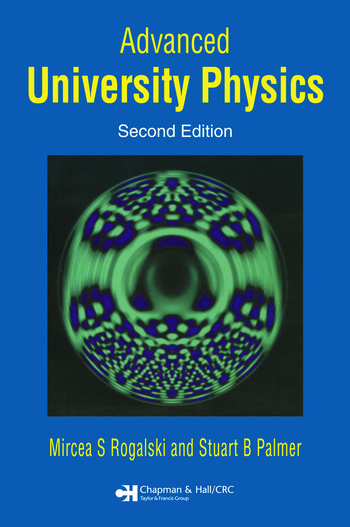 Succinct, cohesive, and comprehensive, Advanced University Physics, Second Edition brings individuals schooled in the rudiments of physics to theoretical fluency. In a progression of concise chapters, the text clarifies concepts from Newtonian Laws to nuclear dynamics, while introducing and building upon the theoretical logic required to operate in the world of contemporary physics. Some chapters have been combined to improve relational clarity, and new material has been added to cover the evolving concepts that have emerged over the last decade in this highly fluid field. The authors have also added a substantial amount of relevant problems and at least one pertinent example for every chapter. 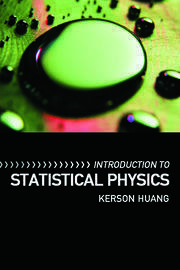 Those already steeped in physics will continue to find this work to be a useful reference, as the book's 47 chapters provide the opportunity to become refreshed and updated on a great number of easily identified topics. INTRODUCTION: SI Units, Dimensional Analysis, Fundamental Physical Constants. PRINCIPLES OF NEWTONIAN MECHANICS: Newton's Laws of Motion, Conservation of Momentum, Conservation of Energy. ANGULAR MOMENTUM: Conservation of Angular Momentum, Motion Under a Central Force, Kepler's Problem, Kepler's Laws. PRINCIPLES OF SPECIAL RELATIVITY: Postulates of Special Relativity, The Lorentz Transformation, Spacetime Diagrams, Relativistic Invariance. RELATIVISTIC LAWS OF MOTION: Relativistic Momentum and Energy, The Relativistic Equation of Motion, The Equivalence Principle. THE LAWS OF THERMODYNAMICS: Zeroth Law of Thermodynamics, First Law of Thermodynamics, Second Law of Thermodynamics. THERMODYNAMIC FUNCTIONS: Clausius's Theorem, Entropy, Thermodynamic Potentials, Hydrostatic Systems, Heat Capacities. PERFECT AND REAL GASES: Perfect Gas Laws, Thermodynamic Functions of a Perfect Gas, van der Waals Gas. PHASE TRANSITIONS: Equilibrium Between Phases, First Order Phase Transitions, Higher Order Phase Transitions, The Phase Rule, Third Law of Thermodynamics. ELECTROSTATICS: Electric Field, Electrostatic Potential, Polarization, Electrostatic Energy. MAGNETIC INDUCTION: Current Flow, Magnetic Effects, Magnetic Vector Potential. MAGNETIC FIELDS: Magnetization, Faraday's Law, Energy in Magnetic Fields. MAXWELL'S EQUATIONS: Maxwell's Field Equations, Electromagnetic Energy, Potential Equations. WAVE EQUATIONS: Equation of Wave Motion, Elastic Waves on a String, Sound Waves in Fluids, Electromagnetic Waves in Isotropic Dielectrics. WAVE PROPAGATION: Harmonic Waves, Wave Propagation in Three Dimensions, Stationary Waves, Continuous Waves, Wave Dispersion. WAVE ENERGY: Energy Density, Energy Flow, Wave Momentum, Attenuation of Waves, Wave Energy at an Interface. "The book is considerable in its topic coverage and capacity … . Presentational style is not at all intimidating despite some extremely specialised content and is seen by the reader as both eloquent and succinct. 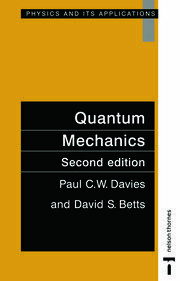 This level 2 or 3 degree text has substantive coverage across the topics … Formulation and ordering of chapters is also well considered and moves cogently in a well-stated direction … It is certainly clear that both Rogalski and Palmer are very experienced university teachers and active researchers, which helps to invigorate the book. The authors do an outstanding job of contextualising the field and the reading is made ever more engrossing and unambiguous by the clever use of elucidative graphs and simple but demonstrative schematics. … students and advanced-research readers will enjoy the text and see its wider merits. … One significant merit of this book is that is contains all the taught or desired elements that are not presented under a single cover elsewhere and this is rarely found. This book is a satisfyingly good read because of its diversity of topics, praise-worthy précis-style clear explanatory text, and simple delineatory diagrams. The book is also valuable in that just sufficient depth is given to most topics and both maths content and theoretical explanation and background are not over-the-top. … the content is excellent and there are certainly no shortfalls in terms of providing worked examples … recommended for primarily M-level study or for final year (year 2 on some courses) degree physics."